This blog is all about Dogs – man’s most beloved best friend. All about them. A glimpse into their lives. A side by side journey of LOVE, loyalty, bravery, affection, activities, everything that has something to do with man’s beloved four legged buddy. 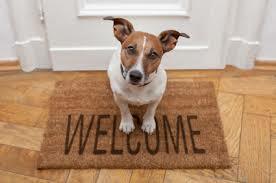 Welcome aboard and enjoy every page and we wish and hope you ill be able to find satisfaction in all your search about our adorable canine fellow who always bring smiles into our hearts.